Beautiful single story Magnolia Park Traditional, built in 1939, features a charming porch with lovely sitting area, swing, a wonderful tree lined street, upgraded cement driveway, brick front walk. Open floor plan, fireplace and contemporary finishes that include ebony hardwood floors make this home an entertainer’s dream. Stunning remodeled kitchen boasts Silestone countertops, under and in cabinet lighting, plenty of storage with a dual zone wine refrigerator! Relax with heated floors and a Victoria and Albert freestanding soaking tub and separate shower in this elegantly remodeled bathroom. Entertaining is fun when you have a backyard with a large Mexican tile patio, mature trees, lush landscaping and lighting, wood gazebo sitting area and water fountain that adds warmth and charm. Updated electrical, copper plumbing, dual paned windows, plantation shutters, crown moulding and baseboards, recessed lighting, updated main sewer line, automatic sprinklers are some of the many upgrades. 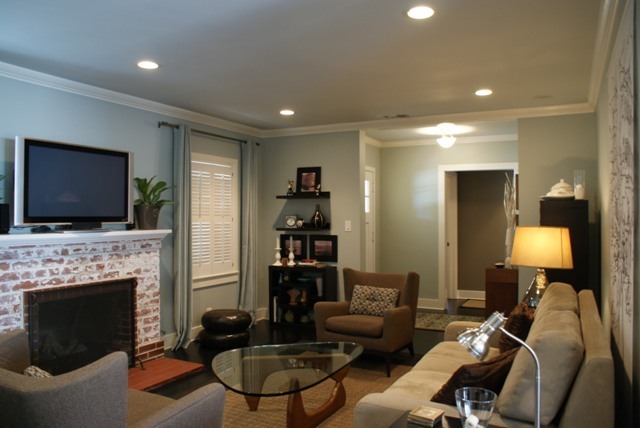 A detached two car garage with alley access complete this Magnolia Park gem. Proudly represented the seller and buyer.